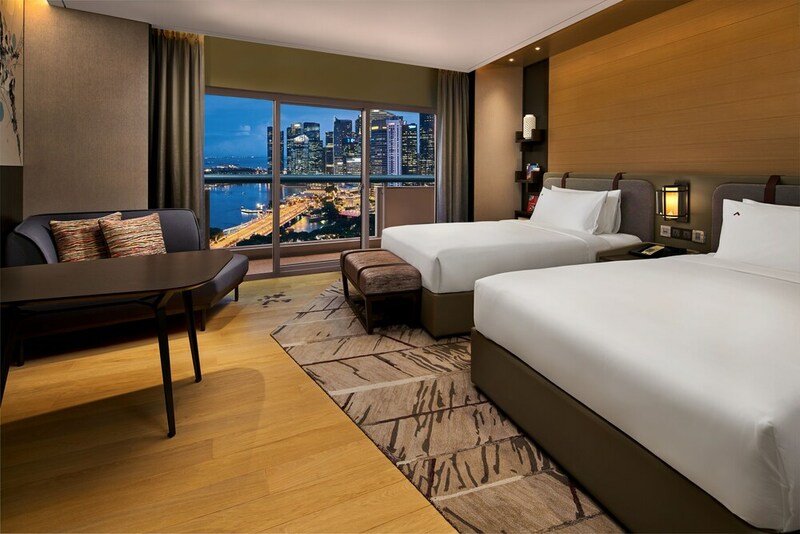 Located in Downtown Singapore, Swissotel The Stamford, Singapore is adjacent to Raffles City and within a 5-minute walk of other popular sights like Singapore City Hall. This 1252-room, 5-star hotel welcomes business and leisure travelers with 2 outdoor pools, a full-service spa, and a restaurant. It's connected to a shopping centre in central Singapore, and also a short walk from Merlion and Orchard Road. Enjoy a bite to eat at the hotel's restaurant, or relax with a drink at the bar/lounge. Savor a meal from the comfort of your room with 24-hour room service, or get a quick energy boost at the coffee shop/café. For your convenience, a buffet breakfast is served for a fee each morning from 6:30 AM to 11:00 AM. An LED TV comes with cable channels, and guests can stay connected with free WiFi. The bathroom offers hairdryers, free toiletries, slippers, and bathrobes. Other standard amenities include a minibar, an espresso maker and free newspapers. Guests of Swissotel The Stamford, Singapore have access to a full-service spa, 2 outdoor pools, and a nightclub. Valet parking is available for SGD 33 per day, and there's also limo/town car service. Multilingual staff at the front desk are standing by 24/7 to help with dry cleaning/laundry, luggage storage, and concierge services. Other amenities at this luxury hotel include a health club, a sauna, and free WiFi in public areas. Swissotel The Stamford, Singapore features a full-service spa, 2 the outdoor swimming pools, a health club and a sauna. The hotel offers a restaurant and a coffee shop/café. Guests can unwind with a drink at one of the hotel's bars, which include A poolside bar and A bar/lounge. Wireless Internet access is complimentary. Business-related amenities at this 5-star property consist of a business centre and a limo/town car service. Event facilities measuring 480 square feet (45 square metres) include conference centres. This luxury hotel also offers a nightclub, multilingual staff and gift shops/news stands. On-site parking is available (surcharge). A total renovation of this property was completed in January 2019. Swissotel The Stamford, Singapore is a smoke-free property. Alligator Pear – On-site restaurant. Guests can enjoy drinks at the bar. 2 the outdoor swimming pools are on site along with a health club and a sauna. Willow Stream Spa has 23 treatment rooms, including rooms for couples. Services include facials and body treatments. A variety of treatment therapies are provided, including aromatherapy. The spa is equipped with a sauna, a spa tub and a steam room. Pool access available from 6:30 AM to 10:00 PM. Reservations are required for massage services and spa treatments. Reservations can be made by contacting the hotel prior to arrival, using the contact information on the booking confirmation. The property has connecting/adjoining rooms, which are subject to availability and can be requested by contacting the property using the number on the booking confirmation. Some facilities may have restricted access. Guests can contact the property for details using the contact information on the booking confirmation. Book a stay in a Executive Room, 1 King Bed, City View room type, a Executive Room, 2 Double Beds, City View room type, a Executive Harbour View, 1 King Bed room type, a Executive Harbour View, 2 Double Beds room type, or a Crest Suite, 1 King Bed, City View room type and receive free evening drinks.